Isn’t technology great! I mean sometimes it isn’t but if we use technology for good, then it can be a huge blessing, and a powerful tool in evangelizing others and ourselves. Let’s take for example apps. Sure, I suppose I could get lost for hours playing games on my phone — or I can choose to use this incredible technology to connect with the Lord and learn more about my faith. While I have been known to get sucked into games (and Facebook), now, I spend most of my time using one of these 5 Catholic apps. 5 Catholic Apps You Should Download TODAY! Catholic Answers – I use this app almost every single day to listen to podcasts from our nations top Catholic apologists. They feature remarkable guests that share their knowledge related to the church and the Catholic Faith. Thanks to Catholic Answers Live, I have learned so many things I didn’t know about the faith. It has also cleared up so many misconceptions I had about the church’s teachings on certain issues. When I would say, “I don’t agree with the Catholic teaching about…” what I didn’t realize, is I that I just didn’t understand the teaching or why it it that way. Why are you a Protestant? Why aren’t you a Christian? You can listen live, or to Podcasts that go back all the way to 2008. Watch this short video on their website to see what it’s all about! By the way, Catholic.com is an awesome resource to find answers to any questions you may have. 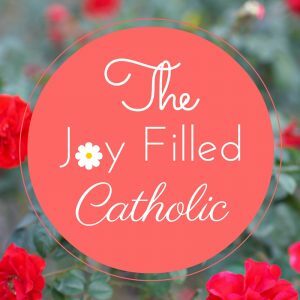 If you are not Catholic, but want to learn more about what Catholics believe and why, it’s perfect for you too! In fact, they would love for you to call into their live program, between 6pm-7pm ET, M-F, and ask your questions. Check out their radio calendar to find the best time to ask your question. There is so much to this app but I got started by listening to Go Ask Your Father, which is hosted by Msgr. Stuart Swetland. I have learned so much from this program and told my mom about it. She loves it too! Msgr. Swetland is a convert to the faith (as are most of my favorite Catholic apologists and authors) and I appreciate the way he answers the questions of his callers. I also love Morning Air and the Miracle Hunter – but I have listened to many of the programs and really like them all. There are a ton of wonderful podcasts, audio prayers, news and info, and the daily readings. This is a definite must-have, and a helpful resource. EWTN (Eternal Word Television Network) – My husband was going through RCIA several years ago, and I started to realize I didn’t know much about this faith I professed to have. I didn’t really know why I was Catholic, or what that even meant. Shortly after he was received into the church, I was moved by the Holy Spirit to start watching EWTN TV, to find answers to questions I had about my faith. I can’t really explain what I thought I would find there, but I can tell you I thought it would be super boring. Well, I turned in on one day and started watching The Journey Home program, which features conversion stories, and is hosted by Marcus Grodi. Once I started watching, I couldn’t stop. In fact, I tune in every Monday to watch it! Then I noticed they had other programs I liked — and programs my KIDS liked! So, of course I had to see if there was an EWTN app, so I could listen to The Journey Home, or watch it on my tablet. There WAS! There are live streams, program schedules, video, news, prayers, and the bible. You can even listen to the Daily Mass. During my grandfather’s final days, my mom would put the Mass on for him to listen to. She said it was such a comfort and brought a sense of peace during that time and she was so grateful that it was available! It is a fabulous resource and a must-have for every Catholic. Anyway, there are a ton of high energy, informative talks on there. I sure wish there were speakers like this when I was coming of age. Perhaps, I would have traveled a different path. If you have kids in college – or kids who will be heading there – don’t send them out into the world without this app. Download it for yourself too – then you can talk about it together. Want to learn more about Focus? Visit their website Focus.org and send your student to the Focus.org Student site. Do you have a favorite Catholic app that YOU can’t live without? I’d love to hear about it. I’m always looking to add to my collection. Rosary Deluxe: You can pray the Rosary and/or Divine Mercy, and it has great reflections! iMissal: In addition to the Mass readings/calendar, there is a great collection of prayers and Catholic news. Click to Pray: I just started using this app, but it’s great! Get reminders to pray in the morning and in the afternoon, and you can always view the Pope’s intentions, too. Hi Julie! Thank you for taking the time to comment and share some of your favorites as well. I tried to find the Rosary Deluxe and iMissal but I have an android and couldn’t find them in Google Play. We have a family iPad though and I’ll try downloading them there 🙂 I was able to find the Click to Pray app on my phone. Thank you!